A secret illegal project from the 1950s, 60s and 70s called COINTELPRO, represents the state’s strategy to prevent resistance movements and communities from achieving their ends of racial justice, social equality and human rights. The program was mandated by the United States’ FBI, formally inscribing a conspiracy to destroy social movements, as well as mount institutionalised attacks against allies of such movements and other key organisations. Some of the goals were to disrupt, divide, and destroy movements, as well as instilling paranoia, manipulation by surveillance, imprisonment, and even outright murder of key figures of movements and other people. Many of the government’s crimes are still unknown. 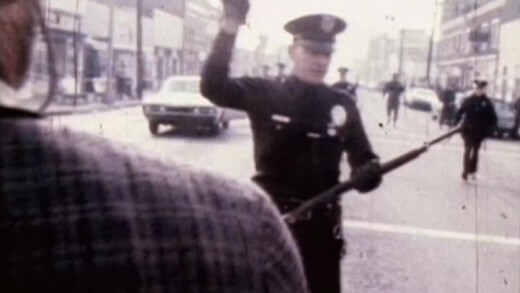 Through interviews with activists who experienced these abuses first-hand, COINTELPRO 101 opens the door to understanding this history, with the intended audience being the generations that did not experience the social justice movements of the 60s and 70s; where illegal surveillance, disruption, and outright murder committed by the government was rampant and rapacious. This film stands to provide an educational introduction to a period of intense repression, to draw many relevant and important lessons for the present and the future of social justice.